"Free and quick task management with mobile app support"
There's a lot to like about this app. First off, it's free, yet so full of features. I've used this for tracking business tasks and even personal tasks like everything that was involved with selling my house. It's nice to assign specific tasks to specific members, and be able to have a conversation on that specific task, along with attachments, follow ups, due dates, sub-tasks, etc. And on top of that, it has a slick mobile app too, so whether you're on your laptop/desktop or on your smartphone, you're good to go. There really isn't anything that I dislike. I've seen some complaints around the web that the site is slow or has performance issues, but I've never experienced that on any of the computers or phones I have used. It definitely solves our task management and tracking needs. When a task is done, it is archived for future reference. Makes it easy for us to stay organized on what needs to be done, and what has been done. It just works. "Asana: How I got hours of my day back "
"Repetitive task? There you go "
Asana can be used for free and in business version. A lot of people will find the free version just fine. It's great for repetitive tasks and you can customize if tasks should occur at special days, weeks, months etc. You can plan far ahead and share between teams or keep tasks to yourself. It's a software that's nice to use for these small things that you would like to keep out of your normal ticket tool etc. Asana is a great tool and it's really hard to find something to put a finger on. User management in regards to private tasks could be better as people do get sick every now and then. You need to get used at customizing repetitive tasks to your need and the search index is not always precise. Think about in what context you will be using the tool. It's great for tasks etc but will still be lacking some in regards to project management. Also evaluate if you need the business version or if the free version will be enough. We needed a cheap and simple tool to create tasks and follow tasks for colleagues on sick leave. Asana do this really well and it's really easy to set-up. "One of the best project management tool to handle software projects"
We are using Asana on our major projects to make it more easy to manage and get things done in time, it is really a great tool to add developers and project managers so that the project can be done with constant moderation. We are also impressed with the the drag and drop functionality in Asana where the tasks can be added and modified accordingly. There is also a provision for tester to escalate this tasks to project managers when needed. Asana is a great tool to make a project management done with ease as this is a platform where we can do anything related to project like adding screen shot, commenting etc. The major issue with Asana is that it doesn't have a mobile app and the notification emails are not regular, please release a mobile app and fix the notification issue asap. Great tool for great and passionate teams, have all the essential features. Pricing also reasonable. We are working on all offshore projects and Asana helps to manage it in real time. Asana is a great tool to get reports and generate profit loss statements as all features are there on the platform. Great tool to work in paradise. "Easily undertake your projects with Asana"
It is ideal for me because it allows me to manage my activities and projects, I can work together with my colleagues and assign specific tasks to each one, and visualize how each project is developed, this software is very easy to use. Once I wanted to make a change in the type of project on a blackboard, but there was no way to do the modification, it would be a good suggestion that I had this option to change, in general, I like the Asana. It is an excellent way to work in a group, without having to be alone in your office, you only have an account and Internet connection and it is also free. This program is very good and quality, since it gives me the facility to work on the same project with my colleagues, and each one can take a different task and exchange information, we can see how it develops until its completion. I love how I can set a due date for things and be able to go about marking items off as I go. Having a set time to get something done has worked very in keeping up with daily tasks and recurring tasks on a day by day or weekly basis. It gets a little confusing with doing subtasks for items as I don't fully know how to make them and also how to finish it and still keep the main task at hand. It's better than trying to use third party apps on phones and other sites where this one you can create days due and remove them with ease. No stress of forgetting anything as it sends reminders right to your email. It's helped us become more organized and focused on high priority tasks and being able to see what can be left alone for a bit before we have to get to those tasks. Each of us was able to complete more things and stay up-to-date on specific projects that multiple people are involved in. The beat of it is, i can organise and view the task list whenever i open the app, that reminds me eveeytime to finish the task on time. I can manage and add the tasks to do list accordingly as my need and i can notify my teammates whenever i complete the task. It provide a screen widget through which i can add my important project to the homescreen that keeps reminding till it is completed, this is a good feature of it that helps me in many small projects. Communications within the app is another good thing of it through which i can share sone important information about a particular project, can ask some questions regarding the same and can even receive replies for the same within the app. The most disappointing part of it is you can't use it for a single user you must have a group or team of atleast 5 members to use its premium features. Unless you dont have a samll group, you have to pay alone for the premium features on behalf of 5 persons that make it more expensive. I wish it would be offering premium features for less price for single users. I have a small working team working on different projects and tasks almost all the time. Now here the asana helps us to keep the project information, its completion stage and progress amaong the teammates.We can communicate, can manage the problems even from different places using communication feature. Its widget keeps us reminding the progress of project, and keeps encouraging us to complete the task at time whenever we open our phones. "Lo más potente y completo en colaboración"
No creo que se pueda destacar tan solo una cosa, ya que es una herramienta muy potente y completa, donde puedes hacer prácticamente todo lo que puedas para facilitar que realices todas las tareas y en el tiempo que acordaste, destacar sus herramientas visuales de mapas y gráficos. No es un programa para gente nueva en este tipo de herramientas, aunque sea una web app es decir, una aplicación alojada en la nube y que funciona desde allí, mientras tengas internet será una herramienta potentísima, el problema, es que es tan potente y completa que para alguien que no esté acostumbrado o lleve un tiempo en este tipo de herramientas le va a costar mucho poder usarlo bien y sacarle todo el provecho. Falta algo de personalización en el diseño, aunque es tan moderno y estilo material design que ni hace falta modificarlo de lo bien hecho que está, además de ser muy funcional. Es sin lugar a dudas la herramienta más potente para colaboración en un equipo, realización de tareas coordinadas y demás necesidades para el trabajo en equipo que puedas tener en la empresa o incluso como individual para organizarte. Asana me está facilitando enormemente lo que otras herramientas similares no hacían, poder ordenar y priorizar las tareas que tengo que hacer, no solo como prioridades, sino con un mapa temporal (cronológico) para ir cumpliendo tiempos y la carga de trabajo que tengo pendiente, facilitando la consecución de objetivos sin problemas y llevar todas mis tareas en la empresa al día. "Power and flexibility can either help or hurt, depending on how you use them"
Asana has clear advantages for teams that seek to drive task completion by combining powerful and flexible functionality across a range of devices. First, Asana takes collaboration to the next level using tasks and subtasks. Powerful subtasks hardly matter for shopping lists but are transformational for team projects. For example, task A could break down into tasks B and C, and then task C into tasks D, E, and F (and so forth). Asana makes it possible to define the work, establish the sequence, set due dates, and assign the right people across all of these tasks and subtasks. In contrast, many other task management software tools suffer from underdeveloped subtask functionality. Robust task structures in Asana enable everything else to fall into place. Second, Asana provides a full view of tasks and status. This is accomplished by combining features that are available separately across other task management software tools. Checklist projects are available to track task completion. “Board” projects enable tasks to flow through phases of completion, like sticky notes on a whiteboard (similar to Trello). Certain projects, such as ongoing programs, work best as a board instead of a checklist. For example, editorial articles could flow through stages (eg. ideas, written, published, etc.). It’s also possible to add the same task to multiple projects. This enables you to track the task for different purposes. Tags can also be used to group tasks together. Asana provides a powerful viewpoint using this mix of features. Third, Asana is accessible across nearly every device and inside other tools. This makes it easy to view and update. While Asana might not have the best look and feel across every platform, it's functional everywhere. For example, it’s easy to quickly create new tasks using the (somewhat clunky) browser extensions. Tasks can be emailed to projects, and due dates synchronized to calendars. Additionally, it’s possible to build custom integrations using tools such as IFTTT, Zapier, Microsoft Flow, or the API. For example, using these tools you can speak tasks directly from virtual assistants, such as Alexa and Siri, into Asana. While it’s great to have features and options integrated into a single software platform, power and flexibility also increase the complexity. In my opinion, this is the biggest obstacle with Asana. First, Asana has many features and setups to uncover. Unfortunately, the right organizational approach is difficult to anticipate. For example, it might not be obvious whether a project should be set up as a list or board. Unfortunately, this up-front choice cannot be easily changed. In other cases, the best subtask structure for a complicated task might be unclear. Getting started on the right foot can be a major challenge, and it's not always straightforward to rearrange later. Second, Asana has a steep learning curve. Critical functions buried under deep menus and keyboard shortcuts are especially tricky for some users. Even basic setups frustrate beginners, such as the difference between lists and boards. These hiccups can sabotage the best of intentions to get an entire team moving in the same direction. It’s death by a thousand (digital) paper cuts. In fact, it's possible to work HARDER than before because processes fall apart when any tool is used inconsistently. Third, human factors matter. Results from any tool come from deep integration into daily routines. Setup and training are only the beginning with Asana. People have varying levels of comfort and won’t use something just because it exists. Furthermore, even though Asana is marketed as “project management” and borrows features from classical project management software, formal project managers will likely be dissatisfied. Asana is best characterized as “task management” because it lacks maturity in certain capabilities that traditional PMs expect, such as cost analysis and resource scheduling. Power and flexibility can either help or hurt depending on how you apply them. I recommend several principles to get the most out of your Asana implementation. First, establish your underlying goals and define what you seek to accomplish using Asana. There are so many possibilities that it’s easy to get carried away by the tool. Keep these definitions close at hand. Second, create your own business systems around Asana to accomplish your goals. Willpower is not enough. Simple systems that do not rely on human failure modes include automatically creating a new task in Asana when a specific trigger happens, or scheduling time on the calendar each week to keep Asana projects maintained. Third, remember that Asana will not replace every other software program. It often makes sense to continue using specialized tools such as CRM, G Suite, etc. You can use integrations in Asana so that they all work together. Fourth, don’t expect a turn-key solution. Asana does not work well after a quick setup call. Prepare for implementation challenges and growing pains. The good news is that Asana is configurable for almost anything. Finally, incorporate team members that know Asana well. Asana takes time to learn and there are many possibilities. Otherwise, you might still be uncovering features and optimal setups for years. These experiences come from my own internal projects and helping others with Asana. How these recommendations apply depends on how they relate to your own situation. While I do not have any formal relationship with Asana, my background with enterprise software projects in general, in over fifteen countries and almost every business function, enables me to assess the technical features and business impact of Asana from a bigger picture context (https://www.mergencesystems.com). Whether these specific recommendations are useful to you depends on the way in which you apply them. I invite you to contact me through G2Crowd by clicking on my profile image if you have questions. Asana eliminates the need to flip between different software programs for checklists, boards, messaging, notes, and files. Too many tools results in confusion about where to work and constant updates to keep everything synchronized. While not perfect, Asana is the simplest unified tool with the muscle to manage task priorities, what the team is doing, and how everything is interconnected. Integration options are great to bridge any gaps. With everything in the same place, Asana provides visibility. Whether dealing with a small or large project, it’s simple to see the details, who is responsible, and related tasks. It’s totally possible to maintain visibility even when working with large teams because the building blocks are adaptable and scalable. Of course, it’s important to avoid getting too sophisticated with unnecessarily complex structures. Through this clearer picture, it’s possible to focus on priorities in Asana. Without structure, it’s easy for urgent disruptions to distract from important work. Sections, task order, tags, projects, reports, and other Asana tricks prevent this from happening. Staying organized around priorities drives satisfaction with clients, customers, and stakeholders. Integration with time tracking tools keeps billable projects in view, which is important for revenue. With the important details up-front, Asana facilitates better conversations and fewer meetings. While back-and-forth from meetings and web conferences won’t go away, Asana constrains them. For example, it's easy to pull tasks together into a meeting agenda (using a tag), get conversations out of email, and link tasks to relevant context. Needless conversations get minimized when all the information is easily accessible. I like that all my tasks can be viewed at once on the screen. I also think the app is helpful since it sends notifications when tasks are due. I wish there was a way to mark the urgency of tasks. Sometimes a bunch of tasks are lingering since they are not as urgent - it would be helpful to be able to flag less urgent so they do not keep popping up. Make sure your whole team buys into using it. Otherwise, you will get a huge backlog of uncompleted tasks that will eventually cause more people to stop using the tool. This helps keeps the team accountable to the tasks we need to complete. Previously, we would have our own separate lists of tasks so many things would inevitably fall through the cracks. Now, our team can see who is responsible for which tasks easily so that things get done. "Excellent web tool to improve communication and teamwork"
It is a very simple and rich tool that allows you to manage and plan your projects, since it is a collaboration software that you very good with which I can do everything you want. The good thing is that this program allows you to customize my activities and have a control of the people who can see your information, it is also very safe. I do not like that I can only use it online, if it could be downloaded and have it on my computer it would be excellent, I should have more intuitive options that serve to better manage projects, and if they could have more features, it would be better. This program is recommended, since it allows you to plan your projects, and it is very useful since my co-workers can give me ideas and contribute information to their projects as long as it allows them access. It is very good because it gives me the ease of managing my tasks or projects and has allowed my team's work to be carried out in a more transparent and fluid way. "An excellent tool for managing tasks and projects. " It is very useful because it helps to keep everything related to a task in the same context: images, PDF files, copies is excellent since it is not software that allows you to manage your time, you can also see tasks in its entirety. important you do not necessarily have to create projects to start adding tasks, in conclusion it contains everything my company needs. When an action is generated, it generates an email, which causes the inbox to be full of notifications and that causes the most important ones to be lost, a situation that does not feel good and forces me to log in again. It is a powerful tool so I recommend its use its interface is clean and low cost. It is very versatile since it adapts to every need, it does not require large teams, you can also delegate tasks, you will no longer be disorganized, managing tasks will be very easy. It is a fair price advertisement tool we could not find something better, and with the fact of generating individualities and solving in real time has been the most benefits, in addition to its low cost. "Good tool for tracking of complex project development"
Asana is the one and only tool to manage complex projects as many other project management tools fail as the project grows, we are really impressed with the way the AI system in Asana works. It helps us to predict the time of project delivery with the current trend. The AI based mechanism also sends the users and the Clients regular emails about various changes/updates on the project by forecasting it. Asana is the best tool when it comes to project collaboration and team management. The main issue is with the pricing and regular changes on the UI, kindly reduce the pricing and please do not make changes to the UI regularly as it will affect us, we need to find the desired feature and then apply it to the project. Please roll out UI changes monthly or annually. Please update the UI on monthly basis rather than weekly, we find it difficult to cope with the new UI design. We are managing huge business solutions projects that require bih team and constant monitoring. Asana helps us to manage the project more effectively and more easily. There is only less human effort needed. Asana is my go-to application for Project Management. I have many clients and I am able to functionally organize them and schedule our tasks. I am able to bring each organization into my Asana separately so that my clients can use the application as well. Asana is easy enough to use. Many of my clients are not tech savvy yet, feel comfortable using the app. There is also a great integration with Gmail as well as a Chrome extension. Not much. The integration with Gmail takes some getting used to. It can be clunky and if you forget a step, it will not save to the application. Use the tutorials, especially when migrating from another project management tool. Project and Task organization. Nothing slips through the cracks as long as each item is scheduled and assigned correctly. Communications with clients remain in each task so things don't get lost in email strings. "Perfect for working with MANY CLIENTS!" 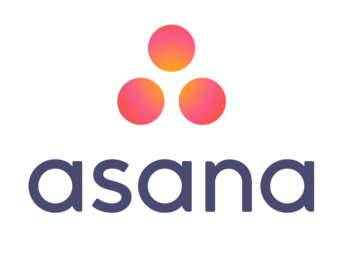 Asana has been such a big part of my business in the past. I have used it for launches, setting up business operations, setting up content calendars, managing big teams. I've done it all with Asana and they don't disappoint. I 100% recommend upgrading to the paid version. All the features make it 100% worth it. I don't like the board view. I don't like that if you set it up in the list view you can't switch back to board view and vise versa. If you like organizing tasks by using lists you will definitely like using Asana. The clients that have used this in the past feel like their productivity increased so much. They feel more high level and on top of things. For example when we've used Asana for launches we are able to see the big picture of the launch and we can see every small detail. It is AMAZING! "Asana for Team of 5 "
I like the simplicity of the product, it's very easy to use. We were with 3 people at first but now we upgraded to 5 people I don't really see that big of a difference in between the free trial and the cheapest plan for a small team but it does works great. I like ho wI can review all the projects to the side and the tasks to each one of them. I do dislike the fact that there are not folders tat I can put off the finished projects to. Or Might be have separate folders for different designers, so I have to color-code everything which can be a little challenging at times especially when multiple people work under one project! I also dislike when they have a breakdown that there are no notifications on when the site will be live, also that there is almost no one that can assist you as I think they are not as big team as well, so that may take a moment if you are in a need of anything. We were trying to switch to a higher plan and it was a little confusing of a process, but after many open pages and team of 5 readers on our side we managed to find something that can help us! Use the trial session before anything else to see how much of that product will you need. We are doin 95% of the designers communication work through this program. Its definitely a great tool because people can use this everywhere they are not necessarily in the office space. "Asana Keeps Me Organized and Effective "
One of my favorite things about Asana is that I can sort things by task due date in a list or view them on a calendar. That makes sure that I am able to see different kinds of tasks in the way that makes the most sense to me. You can also see how much your teammates have on their plate for the day or week before asking them to do something or assigning it to them. It helps make sure that we are all informed and getting things done in time for deadlines. There are a lot of notifications that you get automatically but you are able to turn them off and customize which ones you get so it's fine. It took me a while to figure out that you are able to customize which alerts you get so at first, my inbox was flooded with Asana notifications. I would definitely recommend Asana. It has really helped our team to get and stay organized. Asana lets the team assign themselves and each other tasks in a very organized way. Instead of trying to remember things or write them down or get assignments in an email, all of our To Do's are right there in the same system. It has meant that I never forget to do something because it's right there in front of me with the details and the due date. I can also sort my tasks by due date and see what my week's workload looks like which is a huge help. "Collect your projects and improve the coordination of your teams"
The user interface has a great design and is oriented and structured to facilitate communication between the different users that are integrated within the platform. This structured design is present in elements that highlight the relevant sections with colors, the specification of subtasks or the table and calendar views. All this facilitates navigation through Asana. The objectives, tasks and storage of projects are very simple to perform. All this is easily integrated into this software and allows you to have control over those elements managing any progress or modification through the notifications and schemes within the platform. It would be good if an indicator of the progress on the tasks and objectives was included in Asana, so that we can know at each moment how each of the projects we are carrying out is progressing. Like any large program, it also has a medium-high level of learning. It is necessary to read both the introductory aids and the tutorials to understand the operation of the program. Organizing projects in a traditional way is quite complicated, since it requires a lot of time and meetings. With Asana you save that time, improve communication between the teams and also take more control over the objectives and tasks of your projects, so I think it is a good tool to save time. Coordinating teams and projects is what we do mainly within our company with Asana. We can add users, teams, tasks and objectives within the system and thus we have a clear visualization of what we want to accomplish in those projects. At the same time, we can also be informed of any changes with the notifications and review the calendar to see how the objectives are. The communication between the users and teams of our company has also improved, since we do not waste time coordinating live meetings to set the objectives and know the deadlines of the projects, we do it all through Asana. "Develop your activities and projects in a practical way"
Asana is a very good platform in which I can upload activities and projects to share with my team, its interface in general is good and it has all the tools in sight, I can have a calendar where I have all my tasks and I can also assign tasks and track them. It has a free version, however, it is very limited in terms of options and features, as its interface is lacking in personalization and finally I would like to be able to edit the images that I add to the cards. I recommend Asana for any type of business or company since it has everything necessary to work more productively. In the development department, the use of Asana is very important, since with it we can focus on the tasks that are really important, as well as allowing me to direct my team so that they finish their work on time. "Asana is one of the best apps I've used for team task management and collaboration"
The best part is that it's easy to use. There is virtually no learning curve and I've been able to train my team to use it and I love that it sends notifications via email when something has happened. This and google calendar are my life. There is also the ability to sync with my google calendar so I can see what I need to do when I check my calendar. I just upgraded to the premium plan and I am able to now set start dates as well as dependant tasks. This is the best part about upgrading. I think it would be great if we could have the ability to switch between board view or list view in projects. That's it, other than that I love everything about it! Maybe also having a cheaper plan for just single users. I am now able to keep track of my projects and assign tasks to my team. I don't have to dig through emails to see what's been done or hasn't. My team can also see what's going on. It's been a lifesaver to be able to keep track of everything. "A great team hub for most of my collaborative work activities"
It's easy to set up projects and tasks in Asana. The control panel has bright colors and is engaging to use overall. The various progress meters motivate me and the people I collaborate with to get things done and marked and completed. Getting started with Asana didn't take long at all. I was able to get my account set up and connected with my group within an hour. Using the buttons and cards to update projects is very smooth and not too technical for me. There are also loads of templates geared towards very common field-specific projects. There are certain projects that have taken us a long time to set up. For more advanced project specification and configurations, we have to dig around for further information and do some trial and error to make things fit the way we needed. So basically, I don't feel it will always work so well out of the box for absolutely every business or creative project. Asana works great on its own for many business and creative projects, but you should definitely explore the many extensions that are offered to further your use of the platform. You can also integrate it with popular cloud-based software like CRM and online storage accounts. Asana keeps everyone abreast of project activities and status updates. We can get a quick glance at everything that's going and what needs to be done. For me, it has greatly reduced lots of the stress that I once had when I would jot project notes down and email information around to different team members. The Asana system keeps everyone more on the same page and serves as a hub for documents and files related to our projects. "We love using Asana, as it helps us the most !" Asana is the best bug tracking and project management tool out there in the market, it has a lot of features including the AI based prediction system which allows us to predict the future timeline of the project using the existing data. The other most thing which we loved is the UI and the reminder system in which the user can get real time notification about his/her project trends. Also a lot of developer efforts can be reduced using Asana. The plan and the billing system is a bit complicated as it required a lot of expertise to use. Please fix it and make them simple to use. Please ensure that your support them is the best, I have faced difficulties in convincing my issues to them. Please rectify them asap. We are hosting all our projects on Asana as it helps us to manage and monitor them more easily and effectively. Asana helps us in reducing our human resource utilization in each project there by increasing our profit margin. "Asana is undoubtedly an excellent tool for managing projects. " Asana is an excellent platform for managing business processes. In this sense, it allows us to capture each process, map it, and review its life cycle completely. We like your project cost tracking, its usability and to be aware of everything that happens, we create spaces in which we can only interactor ourselves or add more people. We do not like that its system of creation of reports and analysis is nonexistent, because it is quite necessary to lead a better group organization. His list of tasks is not very expandable, and his application of agile methodologies for project management ends up being quite clumsy. Asana is recommended mainly for its ease of use and for its integration into third-party software (elementary to be able to export or share our projects to other platforms). It is very good to carry access controls, and to handle recurring tasks. Totally recommended. Asana has helped us not only to organize our projects and our work team, but now our work is much more automated. Your customizable Dashboard helps make it easier to work, because the options can be more at hand if we want. "Great way to keep your projects organized!" I love the versatile way you can organize information and ideas using the kanban-like interface! It's like Trello, but more versatile! The mobile app works incredible well and the business features have been nice to use to share pages with clients. The pricing compared to competitors was a little bit of a turn off for us. A lot of the pro features require the paid tier of service and competition like Notion.so were more affordable with the same feature set. It is definitely a great service. Check out the different template options to get an idea of all the ways you can organize your projects and information. 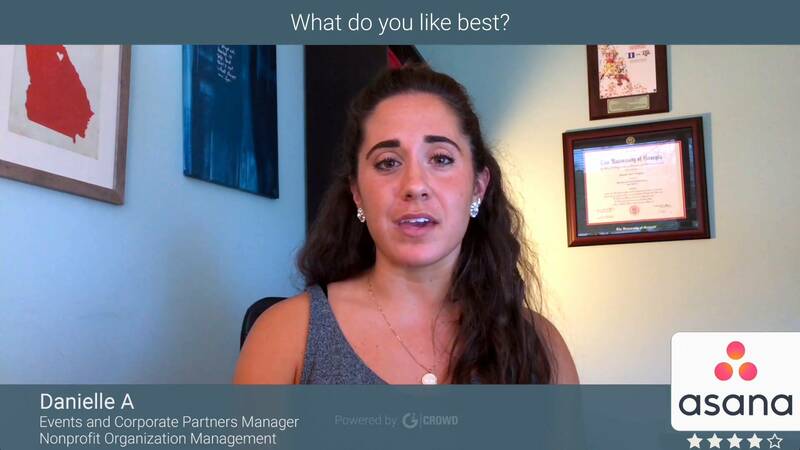 I loved the onboarding process and how they show you everything that is possible and how to use the application to your benefit. It was great at organizing even simple lists and information that you just wanted to get out of your head and not forget later. I use asana to organize my day, my projects, my clients, and my work ideas. I keep different workspaces and boards to manage the information as best as possible. I loved the ability to set reminders and assign notes and tasks. It was a very well made interface. Asana helps me get all of my ideas and to-do's out of my head and into a platform that is easy to use and manage. My work capacity has skyrocketed since implementing Asana. Some really helpful features are only available with premium. It is probably worth the cost, but not something I want to spend money on right now. Some reminder features would be helpful especially when deadlines are approaching and tasks are due soon. In some cases, getting a reminder on my phone would have been really helpful. Take 30 minutes to an hour and read FAQ's // watch videos on how to best use this product. After using this for 5 years, there are many things I still don't know and features I've left unused due to lack of knowledge. Communication problems are being solved with Asana. It has made contacting our agents and keeping track of who is coming and going much easier. This ensures that we have an accurate agent count in our market center at all times. "Manage your projects with the amazing tools of Asana"
Asana has useful functions such as subtasks, table view and calendar view, it also has functions with which I can see the status and progress of all my current projects in real time, so that it can keep everything in order, recently, a new one was added. characteristic of the Gantt chart that can be very useful for managing projects. It takes some time to learn how to use each Asana function, since there are many features. I can say that their tools are easy to use once you work on them, but some users struggle with more specific functions, such as panels and communication tools. It is easy to use, very intuitive, Asana will allow you to simplify your work. With this tool I have been able to work in a team in a very easy way and it works well to coordinate each member and meet deadlines. "The best task management product I've tried." Clean, intuitive, easy to use. The design is nice, not too crowded, but you have the option to add notes and comments to delve into the tasks. I really like to be able to use Asana on a variety of devices. Asana is one of the most powerful and flexible task management products I've tried. My team is very grateful with this software! Asana has a bit of a learning curve. Due to its power and complexity, it may take some time to become familiar with all its capabilities and how to navigate them. Fortunately, the Asana guide does an excellent job of guiding new users through the basics and advanced features. I would like to recommend this product because it is ideal for a medium or large company and will allow you to create and track the tasks of everything from daily administration to project management. It has more than one way to use the platform giving more possibilities and has some excellent integrations with slack and gmail. It also has excellent role levels, which means that you can control who sees which task and group. I can do the heavy lifting on my laptop and then access all the projects / tasks / comments / etc. in the progress of my phone. It goes beyond the basics with functions like infinitely nested subtasks, the ability to comment, assign, add tags, expiration dates, etc. At a completely granular level. The product is very easy to integrate into other software and it's easy to use in teams. We have integrated in places like Microsoft Teams channels and more to come. It's easy to use projects and leave comments etc.It's very flexible and the invitation of team members works really well. There's not really anything to dislike. If we should put a finger on something, then it's an option to see your teams tasks easier and find a way to see them even though tasks are marked as private. Private mark is the default option, so it's often not supposed to be private. Maybe be better at pushing it to other departments who use different tools which make it harder to collaborate between departments. Great tool to make checklist and reminders for yourself, a team or as a project. The repeating tasks is working like a charm. Making it easy to do repetitive tasks. "Great Project Management Brings Teams Together"
Project view options, from list to kanban board. This takes Todoist and Trello functionalities into one place. I also love the sections within each project, subtasks, easy filtering of due dates, and the Calendar view. None at this time. My team and I started using this program heavily these past two months, so we'll need more time to spot any opportunities of improvement or things we don't like. If you're looking for everyone on your team to be on the same page of several projects and be empowered to carry on with project milestones with clear expectations of ownership and collaborative opportunities, Asana is for you! Using Asana has kept me close with understanding what's on my team's plate and what I have prioritized for me during the day, week, month, and beyond. As an editor in my field of work, I handle small and big projects along with routine and one-off tasks. Asana keeps me in check with the things I need to get done and be able to keep my boss and colleagues informed of the status of these tasks on a daily basis. I think everyone will benefit with being able to wrangle projects on Asana as a team and individually. We work with exam development, so anytime we deal with new exam launches or exam changes, we undergo many different processes within the functions of each team member to make sure we're following through to complete tasks that move these major projects forward. This has helped the team have one hub to view upcoming exam project launches and progress points utilizing lists, sections and deadlines. "A great tool for project management of any size"
I think that asana is a great tool to organize projects, besides being able to divide them into specific tasks and integrate people to form a functional team, you can also publish the work that is being done and in this way the whole team knows how to is progressing in the project. On the other hand, it is an online tool that everyone can access despite not being in the same geographic space, and has real-time updates of what is working on the platform. Another aspect that I like is its free version to test the application and see how it works, and also if its interface is customizable. This online tool does not have an offline version, which makes it impossible to use it if you are not connected to the internet. Another aspect is the limited number of languages, since it only has one English version. In addition the application is not intuitive to use, it is necessary to see a tutorial or a manual to correctly understand its use, a very complete tool but difficult to use, this has the consequence that not all users like it. I help solve project management problems of great magnitude, given that the large number of users who had to have access to various parts of the project was very large, and this was the right tool for these functionalities. In addition, we currently use it to manage any type of project. It is good to be able to attach documents and copy and paste information sent by email directly in the tasks. I also like that I can clearly see the comment history and know where things have progressed or the status of the project. There are some flaws in the functions of the assistance task, but it has improved or we have improved in maintaining a good management of it. I would like there to be a better function of copying and pasting for tasks and assigning them to save time and be more efficient. I recommend this product to all the companies of my colleagues because it has helped our company to be more organized and responsible from the point of view of the administration. We are clearly assigned to the elements and have a history or creation date, and the information can be easily entered into the tasks. It has helped our organization to keep the deadlines and task management for the team in order. We used to use Google Docs and this allows us to have a good record of the assigned tasks and the information they contain. You do not have to look in emails to find details. "Love ASANA for the follow-up of Projects "
What I like most about ASANA is that it can send reminders and alerts of tasks and activities that are pending to be fulfilled in the times or if someone has done some updating in the assigned tasks. There is a queine order that can configure and assign tasks and the rest of the guest team responsible for complying with them. You only configure the tasks and those responsible for them. It also sends alerts and reminders according to the scheduled dates. I really liked how it manages the monitoring of tasks, times and responsible. I see the limitation that does not allow to know its capabilities and functions in the free trial version. It is an application that allows you to control and monitor projects on computers and mobile phones, it is very easy to access and easy to use, it sends you tracking notifications to your email configured when assigning the task and to be invited to the group of collaborators and execution of project activities, since you can record what you do as a guest and what your performance is as a human resource. In the same way you can have several registered projects in case you are a supervisor and internally divide into financial, technological and management activities. I consider it a highly scalable application that can be adapted with other tools such as the google calendar and with contol applications and personnel management, since it is possible to measure what that human resource is executing. I highly recommend them. Which is an excellent tool to plan, control and monitor the different tasks and objectives of the projects. "Master To-Do List to Keep Tasks Organized & On Track! " My favorite thing about Asana is clicking the check mark next to a task! But really, Asana helps keep all of my tasks well organized so that I never have to think twice about missing anything. Easily set due dates or assign to team members. Edit descriptions and add tags, and also organize separate to-do lists. The only thing that could improve is a notification system for changes to task descriptions. Email notifications are received when due dates are changed, tasks are completed, or tasks are commented on. These emails are helpful, but can also sometimes get lost in inboxes and over looked as something that didn't need attention. It would be more helpful if notifications were pinged to a certain user, and if those notifications also included changes to task "descriptions"
This is an awesome tool for managing tasks and getting stuff done! Asana is our team's master to do list for everything from supplies that need to be ordered, to emails that need to be sent, to what order needs to be produced on which day. "Great tool to keep on track and get organized"
With Asana i`m able to keep on track of all my team works projects, allowing me to be notify when somebody do a change, a comment or add a new task that i need to be aware about. Asana is a complete team colaboration tool, easy to use, that`s let you know what happening in any given time with any given project or task. It help to be focus on what you really need to be focus, because give a real time monitor of everything. If you have some troubles organizing or planing your day at work, asana is the right tool for you, is a very intuitive and powerful tool with a nice and clean interface. I think asana fits and can help the same way to a small business then a big enterprise. Maybe the price its what i dislike the most, besides that, theres nothing else that i dislike. Plan what you want to achive with asana and how many users need it, because the pricing is per user by mounth, and you will be surprise how fast the bill grow if you don`t plan the amount of users that its going to be using asana. It helping me to get organized and keep track of every task of my team work. "A great tool for the correct management of projects"
I recommend this software for companies that need to organize their projects since it really is something totally functional, it helps a lot in the organization and optimization of time and processes.
" Asana is a beautifully designed and easy-to-use project management system"
The ease of use...even people who have never used a project management tool take to Asana very easily. In fact, it's hard to get someone to leave Asana once they've truly used it. Only the pricing...I'm a bootstrapper so while the free account takes care of 75% of what I need, a monthly subscription can sometimes be out of range for someone lean on funds. There are other tools that cost just a low annual fee that can take care of the same things that the free version does, but that do other important tasks for solo-entrepreneurs. Just do it! If you've been having difficulty keeping track of all the work that needs to get done, if tasks have been falling through the cracks, or if you can't find that notebook that has the info on the task your client gave you last week, then you should jump right in and use Asana. I've even set up a task while on the phone with a client, taking notes directly into Asana. It's a great tool. When you have several projects going at the same time, and each project has many tasks dependent on team members, using Asana is a great way to track where the project is and who's doing what. I just couldn't do without a tool like Asana. "Love Asana but wish they'd fix one little thing"
I really do enjoy Asana. It's got an interesting and intuitive UI, it's easy to use and makes sense. While originally used for managing tasks and 1:1's for professional development, we've come to use it as an entire project management software for full implementation projects. The ability to add users outside of my organization so I can send notifications is exactly what my team has been needing for years. While there was some learning curve for the whole team, I found things pretty intuitive and process of building out a project makes sense to me, and templating the projects makes our lives so much easier. The only caveat I have is that clicking on a line item makes it immediately editable, and this is a huge pain. I really only have one major concern with Asana, and it's a funny one from a UI standpoint. Perhaps other people don't see it this way, but I do. When I am viewing and managing my tasks in Asana, the one thing that drives me absolutely crazy is that as soon as I click on a line, it's immediately become text-editable. So, any time I just want to click on a line, it goes into this mode and I always end up accidently typing or erasing, or just needing to click out of that box. I love everything else about Asana except for this. It doesn't make sense to me, and probably will not. Perhaps I'm the 1% who hate this feature, but there's gotta be a better way - at least make edit ability a double-click option. While this was originally just given to us as a simple task management software, once we opened it up and started building projects to manage in Asana we realized just how capable it actually is. Where we thought it didn't have a lot of use to us at first, it's now becoming a go-to tool for my team to operate efficiently. We are using Asana for project management software. Where this was originally just a task management software for professional development, we've realized this can be used to manage full projects. The features we've found while really building out projects have become a massive help to our team and our clients are reaping the benefits. It's so easy to communicate tasks to clients with this tool, now. "To manage your projects, have at your disposal ASANA"
Asana immediately catches you with its interface, its variety of options to manage your tasks and projects strength to this tool. This application has a phenomenal integration with other applications that can provide a better performance for your activities. Asana has as potent an integration as Instagantt is, you can even have your own gantt diagram in one of its sections and see how your activities are handled through the schedule, it is easy to use so it will not generate any waste of time. First we used Asana to assign small tasks, but then we expanded their use in the company, little by little we included projects, activities for different departments that improved communication and compliance with the company's missions. This has favored in all the directions the direction that one wishes to reach. "Asana is user friendly and collaborative "
I love the collaborative aspect of Asana as a task manager. My team and I can collaborate on projects and see each other's progress. The deadlines and ability to assign tasks to my teammates keeps our projects on schedule and has definitely made our office more productive. Sometimes I will loose track of tasks in Asana when I do not put a deadline on the task. This, could be avoided if I used the deadline function on all tasks but sometimes I do not need a deadline on a task. I would consider using Asana if you are interested in collaborating more effectively with your team and prioritizing tasks. The ease of use makes it a great option for all types of teams - and for personal use! We use Asana as a way to keep our projects on track and as a way to brainstorm new projects and keep track of ideas we come up with in our meetings. It gives us a collaborative space to brainstorm and optimize our tasks and projects. "Perfect tool for synchronizing tasks"
Asana is the perfect tool to synchronize your daily tasks within the project. You can comfortably manage your work activity with the Asana templates and classify them by client, being able to see the progress of the project with percentages and being able to synchronize it with the Instagantt gantt diagrams. The graphical interface is very friendly for all users and perfect as you can assign those responsible for each task and also add other colleagues who can see the progress of a specific project or so that managers can manage them more optimally To him eployees. The color calendars are great and guarantee that the task is done at the specific time. It should have an instant messaging feature to be able to communicate with another team member within the application. It would be useful a feature to weight the tasks with different priorities and in this way when the project progress is taken as a percentage, the fulfillment of one of them reflects the real progress in the gantt chart. You should be able to assign the same task to two people without duplicating it. I fully recommend Asana for small businesses or entrepreneurs, a breakthrough in their project management is achieved with this simple but very powerful tool. Despite their failures, they do not take away virtue from their performance, trust them. It's great to work with Asana, you really see the progress of the project with this software. It has allowed me to take a stricter control of my projects and with this I obtain a valuable time that I can apply in another productive task. Asana favors us because with it, people who are not so associated with the PMI can take their projects quickly and concisely without major inconvenience. "The use of Asana Favors all organizations." its clean and admirable interface gives you a very inspiring environment, it allows you to choose if you want to take your projects in the form of a list or pictures, this is quite new, unlike other tools that limit you, your way of sharing and generating alerts via emails web, is just what I need to keep me up to date on each movement made by each collaborator. There are some templates that at the beginning when you are a simple user of Asana you do not have access, however, this does not limit you, but not once you acquire them and see everything dynamic you want to get more from this tool, it has a variety of tools that they can facilitate your work. The use of asana favors all organizations, some tools are so similar to this, but what makes this application great is its interface and user-friendly operation, your guided route to familiarize yourself is fantastic and very lively. You can give it a try by signing up for free to the site and if you like it you end up accessing all its additional actions for premium users. Currently I manage several projects in my company in which I supervise the progress and it is very important the performance that each collaborator has from the implementation of this tool, each phase of activities is organized and with a very applauded compliance, the management and processes it has been very efficient that we really owe it to Asana. "Everything all in one place"
I can quickly and easily set a task, recurring task or add a project and then not worry about it until it comes up again on my dashboard. When I use the tags and tag colors I can quickly identify and categorize tasks and even see them on different calendars. You have to know some simple tricks to quickly and easily set up a project. The trick is that you have to put a colon (:) after a task name to make it a project. I use the color coding as well as tagging to allow me to see the tasks that I can't let slide. I recently switched to looking at tasks in the calendar format and I prefer this view. I manage all the tasks for managing 100+ client websites and social media updates single-handedly. But, I can easily add a team member and assign them tasks when I need to. "Asana experience or study classes"
It is fascinating to have a tool to take control and management of your projects, in this opportunity the application I have been using it to have all my cuts with the students contemplated to not lose track of the delivery dates. Asana can keep everything in one place, an area in the calendars to set how many activities you have scheduled for a date, coordinate additional tasks to each user you want to integrate. The mobile application usually has certain imperfections but I think that with each update that begins to contemplate the creators of Asana will be improved to a fairly remarkable point. But it is appropriate to mention that it really meets expectations, every action and integration can facilitate all you way of working. If you are looking to have your projects in one place fully organized the recommended option is Asana, this gives you an organized environment for you tasks and activities. With a wide deployment to be integrated into other applications and even synchronized with your email. Its interface captures you immediately, you just have to dedicate time to its guidance system for new users. Iam a professor in the area of Computing at a technological institute and the truth is that this web tool has many tools that will manage you in an organized way all your work. It benefits you to plan each project, task and activities in which you would be having a series of well-documented objectives. Asana has a great journey and it is recognized that you can synchronize with other tools, you can have all your notices in your email of any changes made in the activities, notices of upcoming activities. You can carry a gantt chart that is very nice. "Fast and getting better all the time"
The interface is simple and flexible, with many ways to view tasks and progress, including on a calendar, board, list, or gantt-like timeline. It's very easy to quickly work through many tasks without leaving the keyboard. No doubt Asana will always be beautiful and and fast. The biggest challenge is finding a consistent workflow that your team can depend on over time. The free feature set is nice enough, and it's great that they offer it for up to 15 users, but the for those small teams that need to plan even moderately complex projects, the leap to Premium or Business is substantial--$120/user/year is asking a lot for a single piece of software for a small team, especially billed annually. Further, the product is evolving so much that features are often teased or released as free and then repackaged later as premium features. Decide your workflow in advance and see if you can make Asana fit in a comfortable, natural way before deciding to switch. We juggle many competing projects and deadlines, so it helps keep everything in one big picture, in a place we can talk about individual tasks as we go along. I prefer this workflow to Slack-like emphasis on chat/email, etc. Asana's prospects for time planning are getting better, but are a bit obfuscated right now. "Asana allows you to do numerous tasks from one place"
Asana is an excellent way to see how powerful a tool is to keep track of personal tasks or those that require multiple people. You can create detailed tasks that you can assign to yourself and other members of your team to easily notify them. You can have different shortcuts for the different things that we have to do during a day at the office is really advantageous. We believe that it needs a little more development so that it can become an application with sufficient organizational capacity for large-scale projects. Assigning tasks is a bit slow. The team has more capabilities than our team uses, and I'd love them to do something like a monthly webinar about new features and "how to use the new features." Apart from that, I love this software!We believe that it needs a little more development so that it can become an application with sufficient organizational capacity for large-scale projects. Assigning tasks is a bit slow. The team has more capabilities than our team uses, and I'd love them to do something like a monthly webinar about new features and "how to use the new features." Apart from that, I love this software! It is an excellent product, therefore, it is recommended, however, Asana has some frustrating limitations such as including people in certain parts of a task, making sure that people do not feel overwhelmed by the details of those who do not have to be part and attaching work files can be painful to the point that, if the basic guidelines are not met, your team may feel exhausted by the software and simply stop using it. "Great way to track all of your project tasks!" I like that you can manage tasks by client and program. You can also create and assign tasks to any team members. 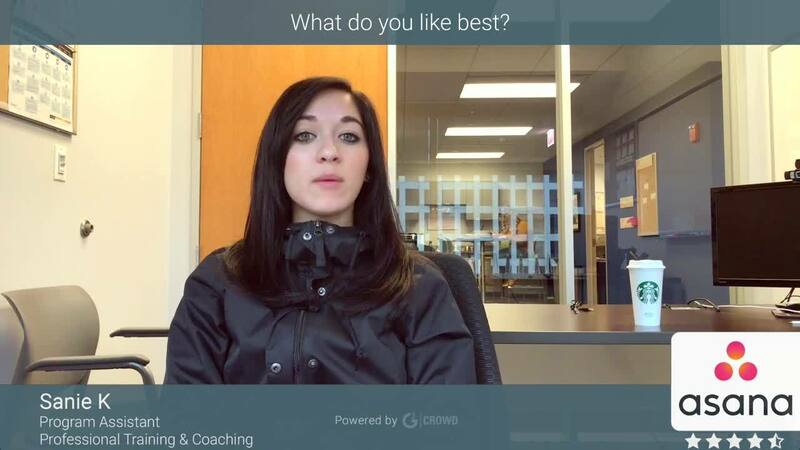 Love that it can be used internally to collaborate with team members or share with a client. I love the fact that you always have your work/files saved on the web for easy access. Great way to stay on top of each project and client. Management can look in and see what you are working on at all times. Also has allowed me to share my progress with clients. by having many functions this same demand to have a good training of this software to be able to make the most of all its features and get the most out of managing tasks and projects. I recommend this tool since it is one of the best I have tested at project management level, it can generate excellent project management, tracking and documentation of them, very good help for new income and to keep up to date the daily tasks. It is also recommended to study the tool well since it has many functions to which you can get much benefit. certainly a software that fulfills many functions, is currently maintained to carry out the control of the projects and the tasks that are carried out each time the employee of the company, as well as the visualization of everything according to the comments added by each employee. "Pretty good product, but honestly I find myself reverting to pen and paper for tasks"
I think being able to assign people tasks is helpful. We also get very detailed with the tags we put on for different projects. For example we use it to categorize by which action items get brought up at which meetings. We also use it to be able to communicate about check up calls so everyone is on the same page. I also like the feature of being able to comment on other people's projects. If you don't have your whole team on the software it doesn't really work since you have to follow up on different channels. We use it mostly for customer support, but I also have marketing responsibilities, so it doesn't work as well for those. Again if you have your entire team on it you're better off. Definitely make sure your whole team is using it and not just part of your team. It makes a lot of a difference, because if someone is out of the loop it sort of throws the whole thing off. When you get set up make sure every team has their own project and that there isn't too much of an overlap, where things could get confusing. We are able to plan out long term projects and tasks within our smaller group.We have about 12 people in our team and it definitely makes our processes easier, but we just have to stay on top of keeping it updated. "Asana, powerful tool for project management." For the paid version the cost is something that is uncomfortable for small business groups, however, the investment is worth it. It is a very useful tool to keep a rigorous follow-up of the projects that your company keeps elaborating. It is easy to use, you just have to dedicate a little time and you can even link it to other applications so that this will speed us certain processes. We are currently using Asana to manage and monitor our projects so we have a more organized view and a schedule of how the procedures are going and if they are met within the agreed deadline. Additionally, we have a growth plan i which we keep our working group informed about new areas of professional growth to be developed, this benefits the company that can have a personal and professional growth to attract the market. * We monitor all Asana reviews to prevent fraudulent reviews and keep review quality high. We do not post reviews by company employees or direct competitors. Validated reviews require the user to submit a screenshot of the product containing their user ID, in order to verify a user is an actual user of the product.